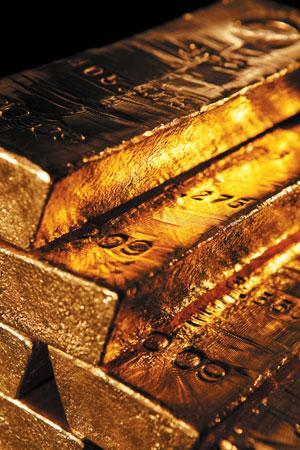 Commentators such as Ambrose Evans-Pritchard and Byron King argue that China’s hunger for gold will put a floor on gold prices. Specifically, they argue that China will “buy the dips” in gold prices, effectively putting a minimum on how low gold prices can go. In other words, Ash argues that you can’t take inflation or deflation in a vacuum. During deflationary periods – like we have now – governments always increase the money supply with a flood of new dollars, which is bullish for gold. Therefore, under both scenarios – stagflation or deflationary recession – gold, gold equities and other precious metals should continue to perform better than financial assets. Japan’s deflation didn’t definitively end until 2007 or 2008. But what about Ash’s theory? After five years in a deflationary economic wilderness, the Bank of Japan switched during the spring of 2001 to a policy of quantitative easing–targeting the growth of the money supply instead of nominal interest rates–in order to engineer a rebound in demand growth. This may provide some evidence for Ash’s thesis that it is an expansion of the money supply which pushes the price of gold up in the later stages of deflationary periods. Finally, Chris Martenson argues that – in prolonged periods of deflation – we usually see failures of large and significant banks, institutions, and perhaps even states and countries. Because gold traditionally does well during periods of uncertainty, Martenson likes gold during periods of deflation. Professor Emeritus of Mathematics Antal Fekete has argued for years that gold is the ultimate – and only – safe haven when things really hit the fan. Greenspan is also verifying what goldbugs like Exeter, Fekete and Schoon have been claiming: that “the barbarous relic” still holds an important place in the modern investor’s psyche. Are Exeter, Fekete and Schoon right? I don’t know. And Greenspan might be wrong, or trying to excuse weakness in the dollar (as opposed to all paper currencies). Note 1: Zero Hedge alleges that newly-declassified federal documents prove that gold prices have been manipulated for decades. If these documents are authentic (I have no reason to doubt their authenticity, but have no inside knowledge), if the claims of artificial price suppression are true, if this is widely publicized, if such publicity causes someone like Congressmen Alan Grayson, Brad Sherman, Ron Paul, or Dennis Kucinich to raise a ruckus in Congress, and if Congress as a whole votes to ban such a practice, then the price of gold would presumably rise. That’s a lot of ifs. 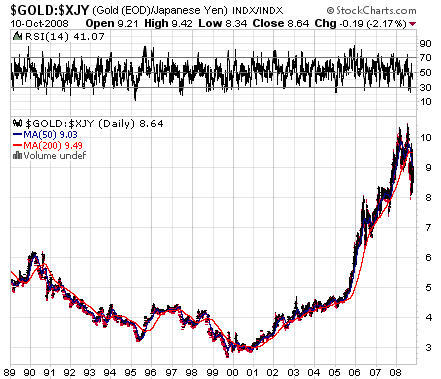 Note 2: Some of the best recent arguments I’ve heard against investing in gold are written by Vitaliy Katsenelson. Read this, this, this and this.